The multistage fitness test, otherwise known as the beep test, is used to measure aerobic power. 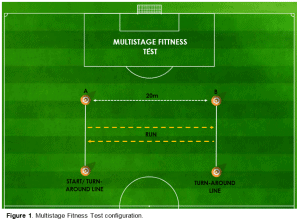 What is the Multistage Fitness (Beep) test? Developed in the early 1980’s, the multistage fitness test was created to provide a cost-effective and practical prediction of maximal oxygen uptake (V02 max) in children, adolescents, and adults. Despite becoming the most popular test for measuring aerobic power, recent research has reported that this test is not a valid predictor of V02 max – unlike the findings reported in previous research. The multistage fitness test, otherwise known as the beep test, bleep test, or the 20m shuttle run test is a continuous sub-maximal test which has become the most recognised tool for measuring aerobic power (1). This test was originally developed for adults in 1982 by Leger and Lambert (2) and then modified later in 1988 for children, by reducing the stages from 2-minutes to 1-minute by Leger et al (3). It is an extremely simple test, which requires minimal equipment and demands the athlete(s) to run continuously until volitional exhaustion. It requires the athlete to perform continuous 20m shuttle runs, whereby the individual must reach the opposite end of the 20m grid before the next beep sounds. The time between recorded beep decreases each minute, forcing the individuals to increase their running speed. It is this increase in speed which reflects the increase in difficulty/intensity. There are numerous variations of this test, but the most commonly used protocol has an initial running velocity of 8.5 km/hr, and increases the speed by 0.5 km/hr each minute thereafter. It is important to note that whenever fitness testing is performed, it must be done so in a consistent environment (i.e. facility), so that it is protected from varying weather types, and with a dependable surface that is not effected by wet or slippery conditions. If the environment is not consistent, the reliability of repeated tests at later dates can be substantially hindered and result in worthless data. CD or MP3 player with loud speaker (volume of speaker is particularly important). Officiator recording the number of shuttles completed (explained in ‘Scoring’ section). 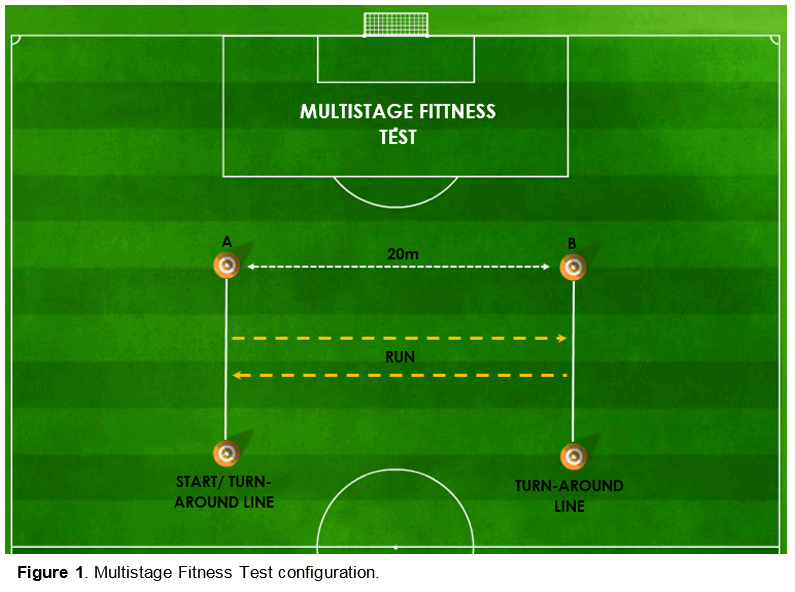 Figure 1 displays the configuration for the Multistage Fitness test, this must be adhered to if accurate and reliable data is desired. The test is comprised of 23 levels, each level lasts approximately 1-minute. The starting speed is 8.5km/hr and increases by 0.5km/hr at each level thereafter. As the individual progresses through the levels, the speed between the beeps decreases giving the individual less time to complete each shuttle, thus increasing the intensity. A single beep indicates the end of each shuttle, whilst three simultaneous beeps indicates the start of the next level. When instructed by the audio player, they must run towards the opposite 20m line (Cones B) within the sound of the beep. They must then run back and forth in this same pattern continuously until they reach voluntarily exhaustion. If the athlete fails to reach the opposite ‘turn-around’ line before the ‘beep’, the participant is issued with one fail attempt. If the athlete achieves two consecutive fail attempts, they are withdrawn from the test and their score recorded as final. However, if the individual reaches the line before the second consecutive beep, their fail attempts are reset. Once withdrawn from the test, the individual’s score must be recorded. Scores can be presented in three ways: 1) V02 max; 2) total distance (metres); 3) or level achieved. Though the multistage fitness test was originally developed as a practical method for predicting maximum oxygen uptake (V02max), it has been subject to much scrutiny in recent years regarding its ability to accurately predict V02max. For further details on this, scroll down to section ‘Validity and Reliability’. The mathematical formulas below demonstrate how to predict the V02 max using the original calculations by Leger and colleagues 1988 (3). This is predicted using the maximum 20m shuttle speed (km/h–1)* and age (years – rounded to the nearest integer). This is predicted using the maximum 20m shuttle speed (km/h–1)*. *this is the speed achieved during the athletes final 20m shuttle run before test withdrawal. 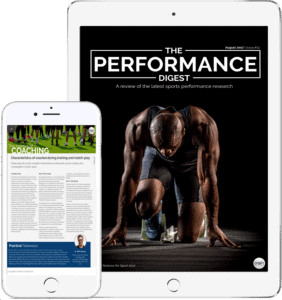 Total distance is perhaps the simplest, most common, and the most reliable method of reporting multistage fitness test performance. To calculate total distance, the simplest method is to record the total number of shuttles completed by the athlete and then multiply that number by 20 (20 = 1 x 20m shuttle: the run from cone A to cone B = 20m). For example, if an athlete performs 30 shuttles, this number can then be multiplied by 20 to calculate their total distance (e.g. 30 x 20 = 600m). For example, if an athlete reaches level 17 and fails on the 8th shuttle within that level, then their score is registered as ‘Level 17, Shuttle 8’. This even applies if the individual is less than halfway to the end shuttle-line before the next beep sounds (i.e. 1/3 of the 8th shuttle run completed). Individual effort – Sub-maximal efforts with result in inaccurate scores. Test regulation – It is vital to have at least two coaches officiate the procedure to prevent any test misconduct, such as not reaching the end-line before the beep. Clothing and footwear – incorrect clothing and/or footwear could easily lead to sub-maximal efforts and therefore worthless data. It is critical that the coach understands the test is both valid and reliable before they include it within their testing battery. Any test that is lacks significant validity and/or reliability will produce worthless results that should not be used literally. Moreover, even a test with sufficient validity and reliability will still have some degree of error/inconsistency, but understanding how much is a crucial part of the data analysis. Though the multistage fitness test has previously been reported to be a valid and reliable test for predicting V02 max in children, adolescents (3, 4, 5, 6, 7, 8), and adults (3, 2, 9), recent research has criticised the previous methods used to calculate these findings (1). In the study conducted by Cooper and associates (1), the authors explain that all the previous research used correlation statistics instead of agreement statistics. In these circumstances, when measuring both test repeatability and test validity, agreement statistics should be used (10, 11). The results of their investigation concluded that whilst the multistage fitness test possesses sufficient repeatability, it is not a valid predictor of V02 max. Consequently, according to the latest research, the multistage fitness test is not a valid predictor of V02 max. 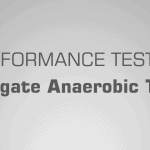 Whilst the test itself is sufficiently reliable when performed correctly, it is however subject to several weaknesses. Test validity for predicting V02 max. Due to the tests continuous nature, it may lack specificity to intermittent endurance sports such as football and hockey. As a result, alternative tests have been developed (e.g. 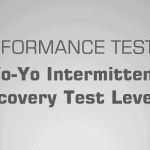 Yo-Yo Intermittent Recovery Test). Regulating the test with large groups becomes somewhat difficult as it is hard to track which athletes have repeatedly failed to reach the end-line before the beep. It is shown that test familiarity can impact results, meaning individuals that are unfamiliar with the test procedure may achieve less than optimal scores. Consequently, test familiarisation is highly-recommended. Performance Testing entails many, many topics. 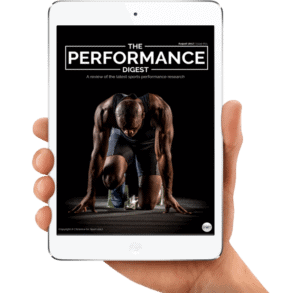 By choosing to simply read up on The Multistage Fitness (Beep) Test and ignore the sea of other crucial Performance Testing topics, you run the risk of being detrimental to your athlete’s success and not realising your full potential. To make you an expert coach and make your life as easy as possible, we highly suggest you now check out this article on The Yo-Yo Intermittent Recovery Test (Level 1). Owen is the founder and director of Science for Sport and chief editor of the monthly Performance Digest. He was formerly the Head of Academy Sports Science and Strength & Conditioning at Cardiff City Football Club, and an interim Sports Scientist for the Welsh FA. He also has a master’s degree in strength and conditioning and is a NSCA certified strength and conditioning coach.